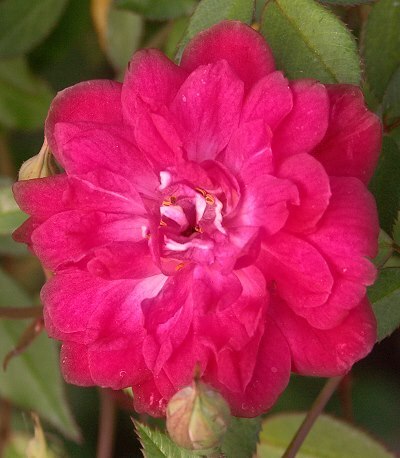 Beauty Secret Rose is covered in petite vibrant red flowers and blooms off and on throughout the growing season. 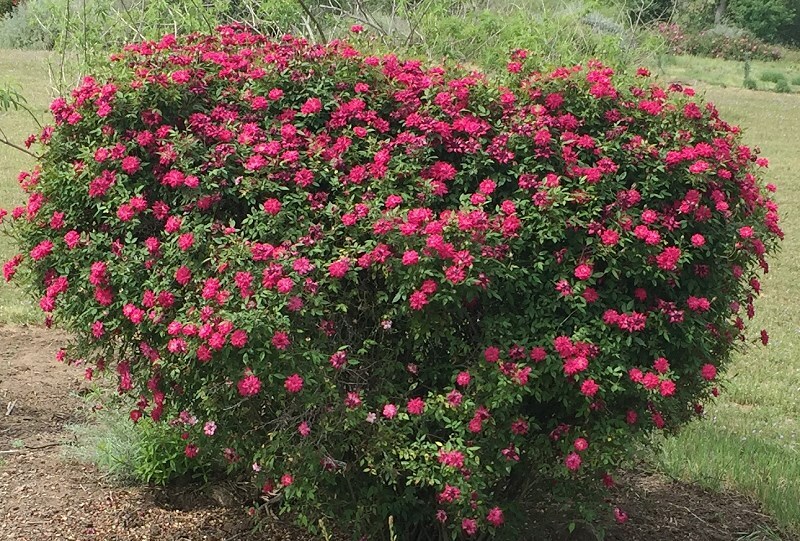 One of famed rose breeder, Ralph Moore's roses (introduced in 1965), Beauty Secret is still around because it is a prolific bloomer that is a true asset to any garden. It can reach three feet in height and about two feet in width over time. Beauty Secret is one of the first roses to pop out with its flowers. In the early spring picture below, it is backed by the twiggy, still dormant, Lemon Verbena. This plant is about ten years old and about three feet tall and wide. It is roughly shaped into a ball once a year with a hedge trimmer.